Seeing the world from a bird’s eye view on a tandem skydive is a breathtaking experience. And then for some, it is literally that — they can’t seem to breathe while skydiving. it’s all in your head. Turns out, it’s one of the most common misconceptions in skydiving to think that you’d have difficulty breathing while freefalling. Why yes – you can breathe while skydiving just fine. Connect the breath and body. The very act of breathing can be focused on feeling your lungs swell with life as you inhale, and releasing all the nervous tension as you exhale. The best way to combat the “thinner” air is to breathe more deeply. Rather than shallow inhales, try to fill up every nook and cranny of your lungs. The more thought you put into your breathing, the easier it will be. 2. Scream like you mean it! Freefall is exhilarating. It’s a rush unlike any other. During a first skydive, it’s frequently possible to experience sensory overload. Simply put – your brain and body are taking in an explosive amount of stimuli, and they’re unable to process it all. With all this distraction, people sometimes forget to breathe. So a great way to jog your memory and jumpstart the breathing machine is to scream. If you’re able to exhale to scream, you’re definitely able to inhale and breathe. It’s the perfect reminder. Here’s a tip then: As you get ready for your jump, sit in the door of the aircraft, take a long, deep breath, and just when your feet leave the plane, open your mouth and let out in a big ole’ holler! 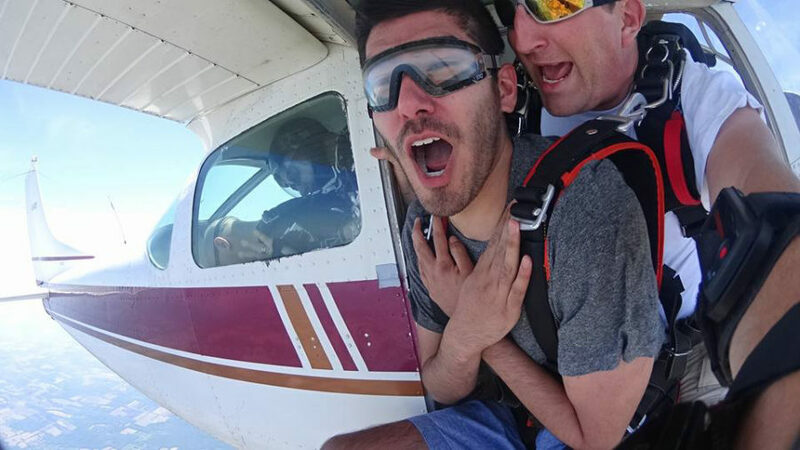 Taking a deep inhale and letting out a scream during exit is a good way to remind yourself to breathe while skydiving. Do you remember the children’s tale of the little engine that could? Well wouldn’t you know it – the same notion of mind over matter applies to skydiving too. In the United States, there are around 40,000 active skydivers, making roughly 3.3 million jumps per year. For those who pursue the sport of skydiving, freefall becomes a second home. It’s hard to imagine that so many people would willingly subject themselves to jump after jump if it were actually impossible to breathe in freefall. No? So come on! You got this. 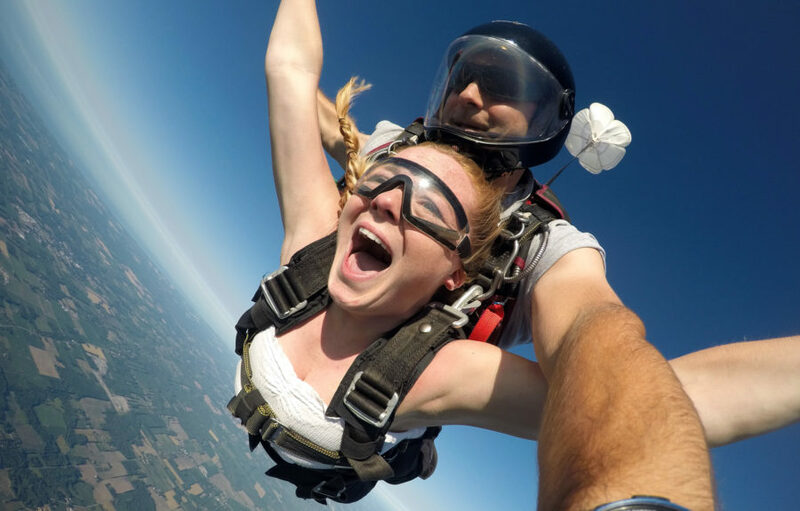 Get ready to take a deep breath and jump into excitement – book your tandem skydive with Western New York Skydiving today!